The orange cones and yellow detour signs still decorate our street while the workers laboriously inch their way closer to the driveway of our condo complex. Any day now I expect to see one of those No Entry signs necessitating a turnaround, delay, change of plans. We wend our way through or around detours in various ways. My husband drives a slightly long alternate route, a recently re-paved street, smooth, free of orange cones and potholes. I, on the other hand, take the regular route though it’s bumpy and slow. I enjoy seeing the progress. Or lack of same in current wintry weather. Jonah–of Whale Story fame–decided to take a detour. In his case, it was to avoid a God designed route. He not only disagreed with God’s AAA plan, but he poured out his anger. Eugene Peterson paraphrases Jonah’s outurst this way: “God! I knew it–when I was back home, I knew this was going to happen! That’s why I ran off to Tarshish! (A detour!) I knew you were sheer grace and mercy, not easily angered, rich in love and ready at the drop of a hat to turn your plans of punishment into a program of forgiveness!…” Hm-m-m…maybe it’s a good idea to carefully examine our detours to see if they’re part of God’s plan. Emotions also differ when facing detours–aka anything that impinges on our detour-free comfort. Recently I overheard a conversation in which the young woman ranted about a one-hour flight during which a child seated behind her occasionally kicked the back of her seat. (Incidentally, you haven’t lived until that’s happened on an international flight. A detour to remember!) In addition, her rotund seatmate commandeered the armrest the entire flight. The woman was irate, even considering demanding a refund on her fare, still red-faced with anger as she related the tale. Another woman of my acquaintance, when told that because of flight delays (detours), she would miss her connections, went to the ticket counter and quietly asked for alternatives. To her delight and surprise, she was placed on another flight and upgraded to Business Class. Not all detours are so pleasantly resolved but it’s good to remember Who’s in charge. I’m reminded of David’s words: “Surely I have calmed and quieted my soul; like a weaned child resting with his mother…composed and freed from discontent.” (Psalm 131:2 Amplified Version) Famed preacher Charles Spurgeon commented: “David…was like one who was able to give up his natural food, which seemed to him absolutely necessary, and which he greatly enjoyed, The weaned babe has given up what it loved.” When detours prevent me from pursuing what is “absolutely necessary,” what is my natural reflex? What do my reactions reveal of my view of myself, of life, of God? Some detours face us with jolting, heart-stopping magnitude. Two weeks ago a friend’s wife–a vibrant happy woman–died in her sleep. Facebook comments poured in from around the world to memorialize her, to comfort her husband. How will he, her children and grandchildren traverse this unexpected detour? Because I’ve “been there,” I know tears are flowing, hearts are breaking, minds are foggy, the future uncertain. These detours–death, divorce, tragic diagnoses–are not mere obstacles on the way to a destination. They are life-changing, direction-altering mountains to scale. Other orange-cone events are the decisions made earlier in life–not essentially bad decisions, but perhaps those made without sufficient thought or counsel. Decisions that influence all further decisions. Decisions that alter the entire path ahead. The orange cones and yellow signs are reminders to periodically examine my Detour Reflex. Here it is: the first day of a new year. Just as on this day one year ago I had no idea what challenges lay ahead, today’s future is fortunately foggy. Yes, fortunately. Were the path plainly laid out, what would I choose? Would I opt for walking a no-faith-required path? Part of me admits that might have been my choice a year ago. Ambulances, emergency rooms, hospital, rehab, lengthy at-home nursing and bone weariness not high on my list of desired options. On Sarah Young’s devotional for January first, I’ve highlighted these words: “A close walk with (God) is a life of continual newness.” Continual newness. I melt at the “newness” of a baby’s face, smile at spring’s first robin, revel in the feel of a soft new sweater. But continual newness in my walk with God (and others) means fresh challenges, fresh relationships with their as-yet-undiscovered quirks and quackiness , fresh–often painful–understanding of myself, fresh steps of faith that may (will!) take determination and responsibility. It’s this continual newness that I must decide upon today . It’s relatively easy at age 25 or 40 or even 50 😏 to walk boldly into newness, but if I am to be “God’s Perennial Woman,” I must choose on this first day of 2019–with all its unknowns, questions and even all its fears–to follow the path of newness. Continual newness. So simple. So revolutionary. So freeing. With the Thanksgiving feast only hours away, I’m reminded of the celebrations we’ve experienced over the years. For the first few years of our marriage with small children, we joined nearby family for the traditional meal. Then we began living away from family. What now? Would “Thanksgiving” end because we were no longer surrounded by parents, siblings, nephews and nieces? Not so! Our first year in Canada we were delighted to discover our new friends celebrated the holiday on the first Sunday of October and our church even had a church family meal together. Six weeks later we were invited down to Washington state to celebrate with Ehle/Toles family members we’d never met. Our children thought it was great: twoThanksgivings that year! It was also in Canada that we began enlarging our traditional Thanksgiving dinner table to include others who lived far from their own family circles, especially our unmarried friends. Soon Thanksgiving without “strangers” seemed odd. 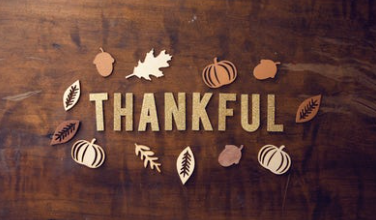 A few years later we moved to Germany and the international friends we were making all worked on the “real” Thanksgiving Day, thus unable to celebrate on the designated fourth Thursday of November. Soon, the hectic pace of ministry becoming familiar, we discovered that by the end of November we were tired and needed a break. With the beautiful North Sea coast in Holland only three hours away, we found a small hotel—more like a bed and breakfast—where we could relax, then tour nearby villages and bundle up to walk on the windy coast. Great preparation for the busy Advent and Christmas celebrations ahead. But what about our children? How could they possibly properly celebrate Thanksgiving without us?? We now laugh about the time we (mostly I) worried about our daughter in far off Southern California. When we called to discover how she’d fared, she described in glowing terms how she and her brother and his almost-fiancé had walked in the nearby mountains and had a “glorious” day! Years later while living in New York City, she wrote (pre-email!) that she decided she needed a day alone so slept in, had tea and toast before walking in Central Park. Mm-m-m-m, it seemed that family, turkey, sweet potatoes and homemade cranberry sauce weren’t actual necessities. This year we volunteered to invite single or married military men and women to our home but discovered that they’d all found a nest for Thursday. (Colorado Springs is a welcoming city.) So—after the Macy’s parade and before the Detroit Lions football game, while a small turkey roasts—we will walk in a nearby park, then return to a table set with lace cloth, white napkins, candles and laden with all the traditional food. And be grateful. Not just for Thanksgivings past but for this one where we enjoy good health, beautiful blue skies—with maybe a hint of snow—and the abundance of God’s provision and presence. 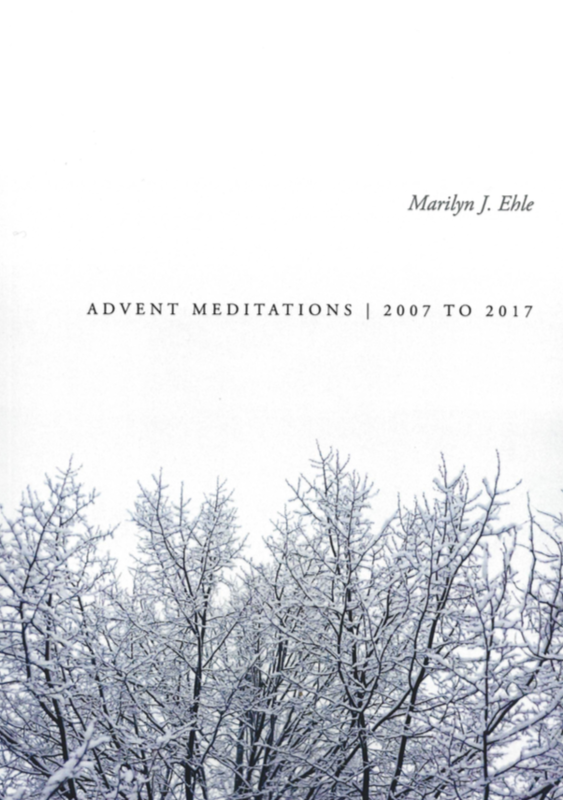 Some may know that for several years I’ve been writing Advent meditations in booklet form for family and friends. This year for my birthday, our creative and ambitious children compiled eleven years of such writing into a book. Advent Meditations. 2007 to 2017 is available on Lulu.com and Amazon. com. 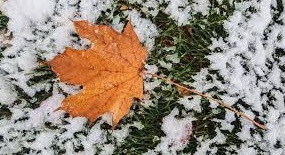 Is it just me or do your thoughts also turn to the seasons of life as nature introduces autumn and the first snow falls? As leaves swirl to the ground, trees that only recently were fat with green now seem as gangly as a teenager’s legs. Skies once consistently blue are now more often filled with clouds whispering, “Change is coming.” Autumn where I live usually comes with soft gentleness while in other parts of the country, change storms into life with angry hurricanes that disrupt and destroy, floods and fires drown memories along with buildings, and the first flakes catch us unaware, trying to find the snow shovel where we hid it in the garage last spring. Seasons of life also arrive with varying intensity. Little ones kept snugly at home walk into the dangerous life of kindergarten…or so says a mother’s heart. A strapping young man enters the college dorm miles away from the safe family circle. A friend’s life was recently tossed into the dark, roiling ocean of grief at the unexpected death of her son. Another aging, but healthy, man is only now arriving home after five long months in hospital and rehabilitation. The creeping tentacles of dementia steal the person we once knew. Even without events such as these, if I step off the merry go round of modern life long enough to be quiet, I realize that my own seasons are passing. How I approach that change will deeply affect how I live in the season. When temperatures recently dropped from the beautiful early autumn high sixties to the Arctic teens, I stored the summery blouses and unpacked my favorite jewel-colored turtlenecks. It’s been interesting to read how some—especially my friends in the American midwest!—respond to the onset of winter: “Gotta’ get out of here and head to Florida” sums up many of their remarks! Although some can escape the weather, none can bolt from the seasons of life. 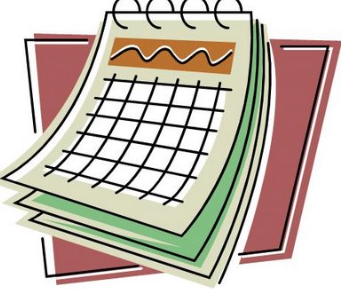 An honest look in the mirror or the annual physical exam, starkly reveal that “a person’s days are numbered.” Denial is useless, retreat leads to apathy, resistance can hurry us along toward frustration and anger. In both versions, I see intentional action: we WILL rejoice…we WILL be glad..LET us celebrate…BE festive…This is definitely not an easy, emotional, denial-of-reality response, but it can become a Spirit-empowered habit. Whether I feel like it or not, whether there is snow or sunshine, I can choose to continue the habit of acknowledging God’s presence, his rule, his love, his plan. Circumstances will likely remain the same, but my attitude toward and in them will determine how I live in these new seasons.